Hall of Fame - Ed Sheeran! 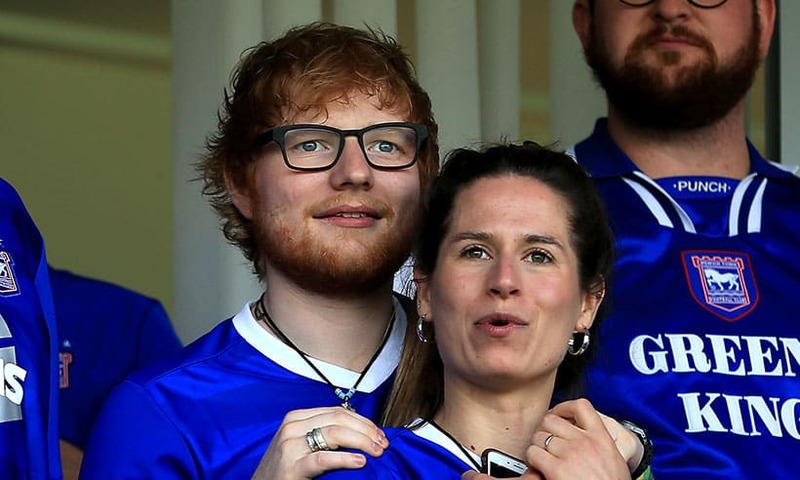 This week in Hall of Fame, all our eyes are on Ed Sheeran! This week's article we focus on one of Britain's finest artists. Born in West Yorkshire, the 27 year old musician attended a Music Academy until 2009. Ed Sheeran is known for his acoustic style and ginger locks. Ed signed to Asylum Records in 2011 and released his debut album "+" aka Plus in september 2011. The album topped charts, going platinum 7 times in the United Kingdom. The album featued top single "A Team" which the singer earned awards all over the world for. Ed Sheeran is known for releasing his albums randomly and in no rush. He didn't release any music from 2011 to 2014 when he dropped his hit album "x". It peaked at number one in the UK and the US. In 2015, x won the Brit Award for Album of the Year. His single from x, "Thinking Out Loud", earned him two Grammy Awards at the 2016 ceremony: Song of the Year and Best Pop Solo Performance. In May 2016, x was named the second-best-selling album worldwide of 2015. Also in 2015, Sheeran launched "Gingerbread Man Records" which is his own record label. After disappearing for a while after the release of x, he took the time out to work on his third studio album "÷" which launched in March 2017. "Shape of you" and "Castle on the hill" topped the charts all around the world, breaking records. His fourth song on the album "Perfect" reached number one in the UK and Australia, and is known for being the new wedding song that people are using for their first dance! Later on in 2017 "Perfect" was released acoustically featuring Beyonce. The album was named the best selling album worldwide of 2017. He has sold more than 26 million albums and 100 million singles worldwide, making him one of the world's best-selling music artists. Two of his albums are in the list of the best-selling albums in UK chart history: x (at number 20) and ÷ (at number 34). Personal life for the singer is looking great! In January he announced the engagement to his secret girlfriend "Cherry Seaborn". Recently there has been rumours that the star married secretly after speculation started after a recent interview. The singer was questioned about the wedding date and he showed his finger with the wedding band already on it. Watch the moment here.